MLMG Financial Advisors Ltd t/a MLMG Financial Brokers, is a financial services brokerage, providing advices, services and a range of products in the areas of financial planning, family and business protection, savings, investments and pensions. 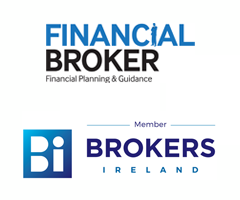 The firm is owned and managed by Cathal McLaughlin and Philip McGonigle who are both Certified Accountants and Qualified Financial Advisors. Our business is located at St Helens, St Oran’s Road, Buncrana, Co Donegal. www.mlmgfinancial.ie. Tel: 074 93 21420. MLMG Financial Advisors Ltd t/a MLMG Financial Brokers are committed to respecting and protecting your privacy and would like you to feel safe when you give us your personal details. We will always clearly identify ourselves in correspondence and on our website. Our principal business is to provide advice and arrange transactions on behalf of clients in relation to financial planning, family and business protection, savings, investments and pensions. MLMG Financial Advisors Ltd t/a MLMG Financial Brokers maintains the same privacy practices with respect to data that is collected off-line and on-line and this notice also covers both those methods of data collection and use. MLMG Financial Advisors Ltd t/a MLMG Financial Brokers complies with EU General Data Protection Directive (GDPR) for the collection, use, and retention of all personal data. You may visit our website without identifying yourself or revealing any personal information. MLMG Financial Advisors Ltd t/a MLMG Financial Brokers collect domain information from your visit to customise and improve your experience on our website. This website may collect certain information from your visit, including the date and time of your access, the pages you have accessed, the name of the Internet Service Provider and the Internet Protocol (IP) address by which you are accessing the Internet, and the internet address from which you linked to our site, if applicable. We use this information to better understand how our website is being used so that we can improve its performance. To recommend products that protect your lifestyle e.g. protecting your family (including mortgage) in the event of death. Data will not be held for longer than is necessary, credit card transactions will be held for the duration of the transaction and general client details will be held while you are a customer. Our Regulator, The Central Bank of Ireland, requires that where clients have products with us that we maintain their data for six years after the last product expires or is cancelled. The information we collect about you or your computer is used to run the website, respond to your requests or process any transactions you have requested. It may also be used to verify your identity, send you information or contact you in relation to a MLMG Financial Advisors Ltd t/a MLMG Financial Brokers product or service that you are using or that we believe may be of interest to you after you have chosen to ‘opt in’. The information we collect may be used, stored and processed in the EU, UK, United States, Switzerland or in any other country in which MLMG Financial Advisors Ltd t/a MLMG Financial Brokers does business. We will always try to process data within the EU and UK. MLMG Financial Advisors Ltd t/a MLMG Financial Brokers may disclose information it has collected about you on the website if required to do so by law or when necessary to protect the rights of MLMG Financial Advisors Ltd t/a MLMG Financial Brokers or its employees. MLMG Financial Brokers facilitate you, our clients, rights in line with our data protection policy and the subject access request procedure. This is available on request. Right to judicial review – if MLMG Financial Brokers refuses your request under rights of access, we will provide you with a reason as to why. MLMG Financial Advisors Ltd t/a MLMG Financial Brokers intent is to strictly protect the security of your personal information; honour your choice for its intended use; and carefully protect your data from loss, misuse, unauthorised access or disclosure, alteration or destruction. We have taken appropriate steps to safeguard and secure information we collect online, including the use of encryption when collecting or transferring sensitive data such as credit card information. If we are collecting your data for a contract (e.g. Life policy or pension policy) and you cannot provide this data the consequences of this could mean the contract cannot be completed or details are incorrect. This website contains links to other websites. MLMG Financial Advisors Ltd t/a MLMG Financial Brokers is not responsible for the privacy practices or the content of such websites. MLMG Financial Advisors Ltd t/a MLMG Financial Brokers uses pixels, transparent GIF files and other methods to help manage online advertising. If you have any questions or comments about our privacy notice or practices, please contact us. MLMG Financial Advisors Ltd t/a MLMG Financial Brokers may modify or update this privacy notice from time to time at any time without prior notice. You can check the “Last Updated” date below to see when the notice was last changed. We encourage you to check this notice often so that you can continue be aware of how we are protecting your personal information. Your continued use of the website constitutes your consent to the contents of this privacy notice, as it may be modified from time to time.